While we have seen a rash of holos over this past 1.5 yrs - my first love for holos began with this OMG collection and I still feel for me, it's the Holy Grail of American holos. Granted I own the entire #61-#66 Nfu-Oh orig. batches of holos - so those despite they are at times difficult to use (I do own the Nfu-Oh Aqua base)...those latter cover the range of pastel holos..I personally like the more vivid shades in the OMG collection and to lesser extent the Kaleidoscope collection too. I love the OMG collection too, but I have to say I love the Kaleidoscope the best. I do love scattered holo though. Linear is stunning and gorgeous, but I love the scattered so so much. Thanks for looking and always having interesting comments beachgal! The OMG collection is awesome! 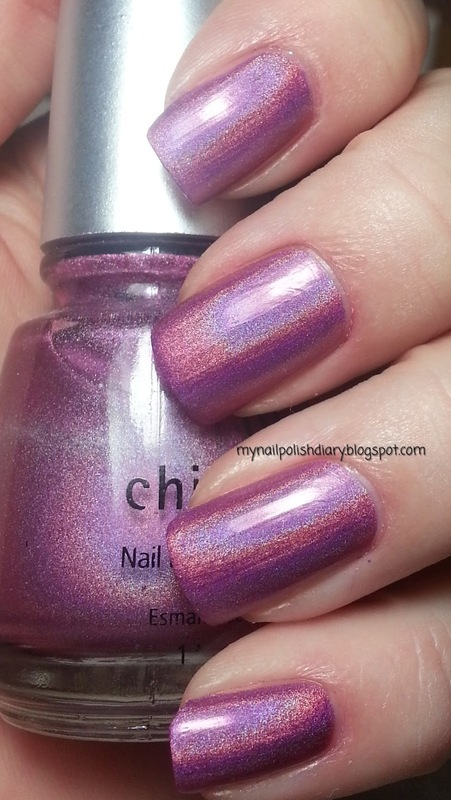 I love this soft pink holographic stunner!